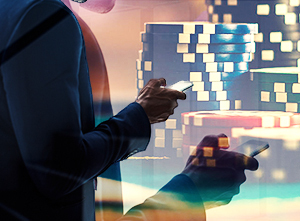 Pitfalls of mobile casino games and how to overcome them is about mobile graphics, game choices, game size and accessibility, and how to overcome each topic’s pitfall. The Pitfall: It can be said that mobile games rely more on premise than graphics; it’s hard to produce awe-inspiring images and animations on devices that are light on processing power and data bandwidth. That being said, if you are looking for thrills, the details of a big score will trump any sacrifice in graphics. How to Overcome: Remember what brought you to the mobile casino in the first place—to have fun and maybe (hopefully) win a few bucks, and the lack of graphic detail won’t be as important. The Pitfall: Mobile casino operators have the hard job of “selling” a particular mobile casino game, particularly because they usually only get one solid screenshot and a few lines of text to promote it. This is why you’ll see so much emphasis on branding (think Tomb Raider mobile slots) and on overall popular games (think mobile Blackjack or mobile Video Poker). How to Overcome: Since it doesn’t cost anything to download a casino mobile game, mobile gamblers are less restricted; the only thing lost would be a few moments of time while they navigate back to the mobile casino lobby. New games are added all the time, increasing the chance you’ll find something you’ll love to play. The Pitfall: Playing your favorite online slots game on a mobile tablet or Smartphone is not the same as when you play on your laptop. The screen is substantially smaller, and that means the buttons are as well. How to Overcome: Mobile gambling is great in small doses. Preventing eyestrain and hand cramps is very important (you laugh, but you can consider yourself lucky you’ve never physically paid the price for too much mobile roulette). In fact, let your senses be your guide to when you should shut your device down for a moment. Fun shouldn’t hurt. The Pitfall: Being able to play mobile casino games is largely dependent on the availability of a wireless or cellular signal. Inconsistent signal may lead to game interruption. You’ll also need to make sure you are aware of your data usage, as this may be a factor when downloading and playing games. How to Overcome: In this case, you can either wait to find better service or your can contact you service provider to make sure your phone is using the strongest available signal. Make sure you always play within your means, both in money and gigabytes.